AP Services, a product and service brand of Curtiss-Wright, manufactures valve and pump packing products that have the lowest leak rates and friction in the industry. Style 6200N die-cut washers are manufactured from nuclear grade flexible graphite sheet. Style 6200N provides an even surface on the bottom of the valve stuffing box for composite packing sets or graphite bushings to rest on. 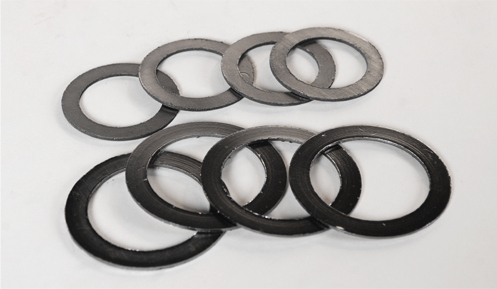 The graphite washers also make installation of composite rings and bushings easier by suspending the packing set during installation and minimizing the potential for overlapping. Each grafoil washer is manufactured in strict accordance to AP’s QC program. Complete traceability along with a complete chemical analysis is available for each lot. Style 6200N meets or exceeds GE specification D50YP12. Style 6200N grafoil washers are recommended for use to enhance sealing, decrease friction, and increase the life of a packing set. Style 6200N eliminates the potential for skirting and fraying of braided packing materials. They help apply a more even load through the packing set, therefore aiding in consolidation. Style6200N grafoil washers are available in any size individually or in combination sets. AP Services, a product and service brand of Curtiss-Wright, manufactures valve and pump packing products that have the lowest leak rates and friction in the industry. Style 6300J nuclear grade rings are made using GrafTech(Formally Union Carbide) GTJ ribbon. This material is manufactured with a non-metallic, inorganic, passivating inhibitor for corrosion and oxidation resistance. Style 6300J die formed rings provide the primary seal with in the packing set. They are to be used in conjunction with Style 524, Style 5000, Style 7300HD, or Style 6000 Composite rings as containment to prevent extrusion of the Grafoil. Each Die-Formed ring is manufactured in strict accordance to AP’s QA program to meet the most demanding specifications of the nuclear industry. Complete traceability along with a complete chemical analysis is available for each lot. Style 6300J packing meets or exceeds GE specification D50YP12 (Rev. 2). Style 6300J Grafoil rings are manufactured to exact tolerances and uniform density, and are available in any size as individual rings or in combination sets. AP Services, a product and service brand of Curtiss-Wright, manufactures valve and pump packing products that have the lowest leak rates and friction in the industry. Style 6300K commercial grade rings are made using expanded flexible graphite ribbon. This material is manufactured with a non-metallic, inorganic, passivating inhibitor for corrosion and oxidation resistance. 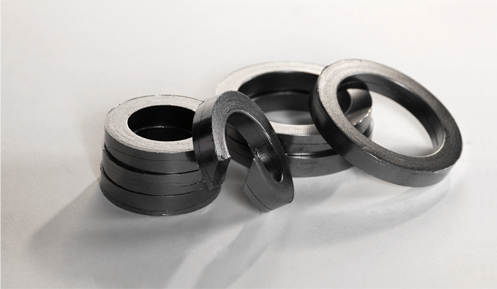 Style 6300K die formed rings provide the primary seal with in the packing set. They are to be used in conjunction with Style 525, Style 5000, Style 7300HD, or Style 6000 Composite rings as containment to prevent extrusion of the graphite. 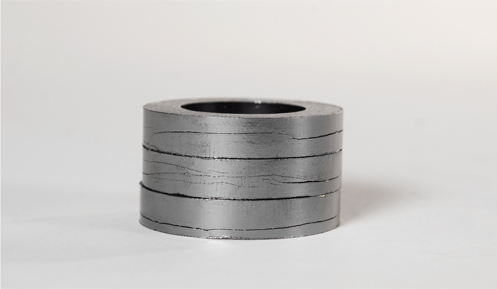 Style 6300K graphite rings are manufactured to exact tolerances and uniform density, and are available in any size as individual rings or in combination sets. AP Services, a product and service brand of Curtiss-Wright, manufactures valve and pump packing products that have the lowest leak rates and friction in the industry. 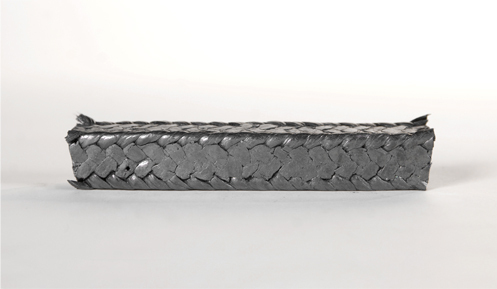 Style 7000 is manufactured from ultra-high purity flexible graphite with a multiple braid construction. There are no binders, resins or wire present that could cause pump sleeve or valve stem damage. Style 7000 is resilient, compressible and thermally conductive. Because the packing is self-lubricating it requires little or no product lubrication. Style 7000 is fire safe and compatible with most fluid mediums. Flexible braided graphite packing provides long life, low maintenance, and leak free operation in most all applications. Because of this packing’s unique characteristics it can withstand acids, caustics, alkalis, steam, and oil in high temperature applications, and effectively seals all types of pumps, valves, and sootblowers. Style 7000 is available as individual rings, combination sets, and in bulk. AP Services, a product and service brand of Curtiss-Wright, manufactures valve and pump packing products that have the lowest leak rates and friction in the industry. Style 7010 is manufactured from ultra-high purity flexible graphite with high quality carbon yarn corners and multiple braid construction. The carbon yarn corners offer excellent material extrusion resistance. There are no binders, resins or wire present that could cause pump sleeve or valve stem damage. Style 7010 is resilient, compressible and thermally conductive. Because the packing is self-lubricating it requires little or no product lubrication and is compatible with most fluid mediums. Flexible braided graphite packing provides long life, low maintenance, and leak free operation in most all applications. Because of this packing’s unique characteristics it can withstand acids, caustics, alkalis, steam, and oil in high temperature applications, and effectively seals all types of pumps, valves, and sootblowers. Style 7010 is available as individual rings, combination sets, and in bulk. AP Services, a product and service brand of Curtiss-Wright, manufactures valve and pump packing products that have the lowest leak rates and friction in the industry. Style 7020 is manufactured from ultra-high purity flexible graphite with an Inconel filament jacket construction. The finished product retains all the inherent benefits of flexible graphite while the wire reinforcement provides greater mechanical strength. There are no binders or resins present that could cause pump sleeve or valve stem damage. Style 7020 is resilient, compressible, thermally conductive, and fire safe. Because the packing is self-lubricating it requires little or no product lubrication and compatible with most fluid mediums. Flexible braided graphite packing provides long life, low maintenance, and leak free operation in most all applications. Style 7020 effectively seals on all types of valves and can withstand acids, caustics, alkalis, steam, and oil in high temperature applications. Because of the Inconel filament jacket, Style 7020 is not recommended for rotary service. Style 7020 is available as individual rings, combination sets, and in bulk. AP Services, a product and service brand of Curtiss-Wright, manufactures valve and pump packing products that have the lowest leak rates and friction in the industry. Style 7300 is manufactured from ultra-high purity flexible graphite in a multiple braid construction. 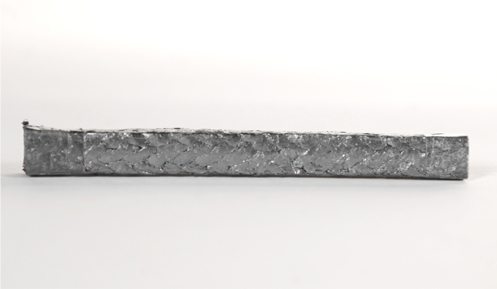 A graphite filament is utilized to provide reinforcement and added tensile strength. 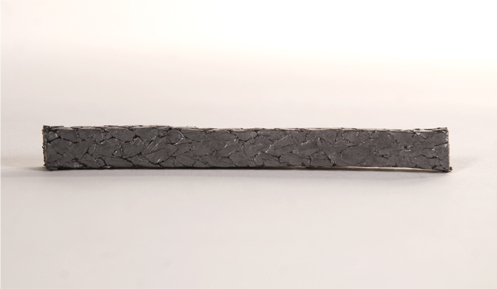 The graphite filament reinforcement also resists extrusion in high-pressure applications. Style 7300 is manufactured from all graphite products and contains no PTFE. A passive corrosion inhibitor is added to the packing to prevent damage to expensive valve and pump parts. There are no binders, resins or wire present that could cause pump sleeve or valve stem damage. Style 7300 is resilient, compressible, thermally conductive, and fire safe. Because the packing is self-lubricating it requires little or no product lubrication, and is compatible with most fluid mediums. Flexible braided graphite packing provides long life, low maintenance, and leak free operation in most all applications. Style 7300HD is die-formed Style 7300 packing designed for use as end rings in combination valve packing sets. Because of this packing’s unique characteristics it can withstand acids, caustics, alkalis, steam, and oil in high temperature applications, and effectively seals all types of pumps, valves, and sootblowers. Style 7300 is available as individual rings, combination sets, and in bulk.